Keynote Speaker, The World of Merlot Kick-off Event | Friday, June 15 | 9:00 a.m.-10:30 a.m. The Previews: Taste & Talk with Rex Pickett| Friday, June 15 | 6:00 -7:00 p.m.
Movie Screening: Sideways | Friday, June 15 | 7:15 -9:30 p.m. The Author's Table: Dinner with Rex | Friday, June 15 | 7:30 -9:00 p.m.
REX PICKETT is the author of Sideways, the multiple award-winning Alexander Payne film of the same title. Sideways won over 350 critics and awards organization plaudits, including 2 Golden Globes, an Academy Award for Best Adapted Screenplay, the prestigious Writers Guild Award, and 6 Indie Spirit Awards. Sideways grossed over $650 million and inarguably transformed the world of wine forever. Rex also wrote the stage version of Sideways, which enjoyed four record-shattering runs. Rex has written and directed two independent feature films. He wrote the 2000 Academy Award-winning Best Live Action Short My Mother Dreams the Satan’s Disciples in New York. His Sideways sequel Vertical won the Gold Medal for Fiction from the Independent Publisher Book Awards in 2012. The final novel of the trilogy, Sideways Chile, has now been adapted into a screenplay by Rex. Rex grew up in southern California, matriculated from the University of California at San Diego. A member of the Writers Guild of America, Rex has enjoyed success in long-form fiction, screenwriting, independent film, and stage. Rex is currently under contract with Blackstone Audiobook Publishers writing a new novel, The Archivist. 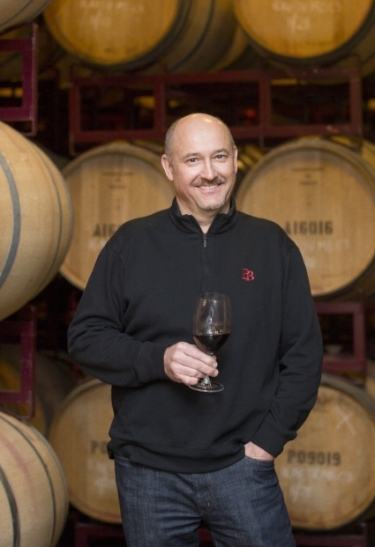 Keynote Speaker, The World of Merlot Kick-off Event | Friday, June 15 | 10:00 a.m.-12:00 p.m.
Tim’s first experience in the wine industry was in 1980, when he “helped” his father process 50lbs of Zinfandel in the family garage. He entered the wine industry in 1999 and the first decade of his career was focused on the development of the family winery and café’, Creekside Cellars, in Colorado until 2008 when, out of love for his father, he moved on to achieve his Master’s in Oenology from the University of Adelaide in 2009. Tim has 20 vintages, including international experience in ultra-premium wine production in wineries ranging from 1,000 cases to 2.4 million cases of production. The Enology and Viticulture program at Walla Walla Community College has distinguished itself through Tim’s insistence that winemaking is a trade and that it can’t be taught in a lab or by a book - it must be experienced in an immersive hands-on manner. The student winemaking portfolio includes over thirty wines ranging from red, white, and rosé to methode champenoise sparkling, fortified and even ice wine. Since Tim started teaching at College Cellars of Walla Walla, the student made wines under his tutelage have garnered multiple 90+ scores in the Wine Enthusiast and Spectator as well as nearly 1,000 medals in local and international competitions including hundreds of, gold, double gold’s and “Best of” awards. Graduates of the WWCC EV program number over 300 with the alumni actively contributing to nearly half of the wine produced in Washington and are intimately involved with nearly every winery in the Walla Walla Valley. Panelist, Wine Panel Presentations & Tastings | Saturday, June 16 | 10:00 a.m. - 12:00 p.m.
Born and raised in Switzerland, Winemaker Jean-François Pellet is a third-generation wine grower. Working alongside his father, who has managed the same vineyard for 30 years, Jean-François always knew what he wanted to do with his life: make world-class wine. Jean-François supplemented his experience by earning degrees in both enology and viticulture. As part of his studies, he interned in Switzerland, Germany and the Napa Valley. After graduating, he managed vineyards and made wine in Switzerland and Spain. Along with making wine in Spain, he was responsible for managing 500 acres of vineyards, designing a new winery and developing a market for the product. His experience and reputation for meticulous winemaking brought him to the attention of Heitz Cellars in the Napa Valley, where he worked for four years. Pepper Bridge Winery then recruited him, so he moved to the Walla Walla Valley to become that winery's creative force. His success at Pepper Bridge (where he is still the winemaker, as well) allowed him the opportunity to join the Amavi partnership and to apply his winemaking skills to different grape varietals, particularly Syrah and Sémillon. In addition to being winemaker, Jean-François plays a key role in the management of the winery's estate vineyards. He is also a founding member and current vice-president of the Walla Walla Valley's sustainable agriculture organization, VINEA. Sadie Drury is a Walla Walla native who has been passionate about agriculture since her first job of picking strawberries at the age of 12. In 2007 Sadie decided to combine her passion for agriculture with her love for quality wine by attending the Center for Enology and Viticulture at Walla Walla Community College and pursuing a career in viticulture. In 2008 Sadie started an internship at Ciel du Cheval Vineyard where she moved up the ranks to Assistant Vineyard Manager. Sadie joined the North Slope Management team in early 2013 and took over the reins of Operations Manager and Viticulturist later that year. She currently manages 8 vineyards including Seven Hills Vineyard. Sadie is involved with many winegrowing organizations. She’s a past Washington Technical Chair for LIVE Certified (Low Input Enology and Viticulture), she currently sits on the board and technical committee for Vinea Sustainable Trust, she is a member of the Education Committee Washington Winegrowers, and she is on the Oregon Wine Standing Committee on Research. Sadie is committed to growing the highest quality wine grapes possible while improving sustainable practices industry wide. Jason Magnaghi was born and raised in the Walla Walla Valley. He grew up working with various agricultural crops and discovered his love of farming. An internship at Pepper Bridge Vineyard solidified his passion for working in the vineyard. 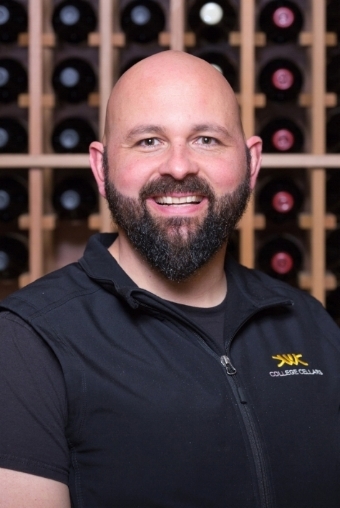 Jason graduated in 2000 from Washington State University with a degree in horticulture and after a season in the viticulture department at Ste. Michelle Wine Estates he returned home to manage the vineyards for Leonetti Cellar and the Figgins Family. Seventeen years later, he still loves what he does and enjoys sharing the wines that he grows. Emmanuelle d’Aligny-Fulchi grew up in the Bourbonnais (central France) where, as a teenager, she spent her free time horse-riding and taking walks through the famous Tronçais forest. Each summer she would go to Provence to earn some pocket money working at her uncle’s wine estate. This was where it started. She loved wine and felt attached to the land and vines. Why not make a career of it, she thought? With its respected wine-making schools, Bordeaux was the natural choice for her studies. Within a very short time, a matter of months, her close relationship with Saint-Emilion had begun. Looking for some practical training to complete her studies, she contacted Angélus, and after a favourable interview with Hubert de Boüard, she began her work experience there… during the 1990 vintage! From that moment, she hardly set foot outside Saint-Emilion, to which she became deeply attached, and Angélus, which happily took her on for all her other internships as well as for the occasional mission for the estate. Then, after graduating as an œnologist and working for a few months for a Bordeaux négociant, Angélus offered her a post, which she took up on 1st September 1996. In 2007, Angélus became the joint owners of Château Bellevue, which she has also looked after since 2008. Emmanuelle is fond of discovering the wines of other regions and sharing her thoughts and feelings with others while on her travels. She also enjoys welcoming winemakers from around the world during the vinifications at the estates. Originally from Ann Arbor, Michigan, Sally attended the University of Michigan and became fascinated with winemaking while studying abroad in France. She credits the rich cultural history dating back thousands of years, the connection to the seasons in the vineyard, the hands-on craftsmanship involved in transforming grapes into wine, and pure pleasure of enjoying wine among the reasons she fell in love with the winemaking process. 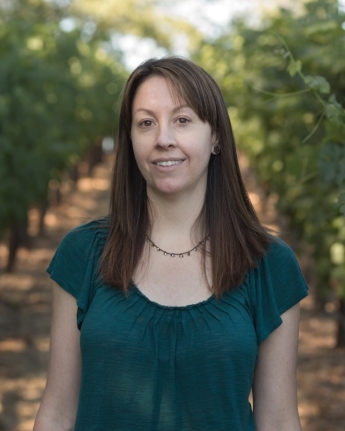 After completing her dual degree in French Literature and Biology, she obtained a Master’s Degree in Winemaking from UC Davis and began her career as a winemaker. In a circumstance unique to traditional family businesses, Jeff was appointed President of Gundlach Bundschu Winery in 2001, at the age of 33. His father, Jim, had similarly taken the reins at a young age, convincing his father to redefine the estate vision to meet the opportunities and challenges of the day. And so Jim handed control to Jeff, who set out to achieve the vision of Gundlach Bundschu . Equally important to Jeff is the preservation of the open-minded and spirited culture with which the winery has long been associated—which he today brings to the parent company, Bundschu Company, its brands and experiences. “Our life here at Bundschu Company, with its wine and good people, has always been about laughter, hard work, enjoying the inspiration that comes from being in such a beautiful place, and sharing what we have with our friends and neighbors.” Jeff makes his home in Sonoma with his wife Elizabeth and their two children. Moderator, Wine Panel Presentations & Tastings | Saturday, June 16 | 10:00 a.m. - 12:00 p.m.
Winemaker Ashley Trout's began her wine making career at 18, following her passions around the world in search of the best ways to combine a love of wine making with a goal for community betterment. She spent the better part of a decade working harvests in Mendoza Argentina and has been an integral part of the Walla Walla Valley wine scene since 1999. After an eight year stint at Reininger Winery, she began Flying Trout Wines in 2006 where she focused exclusively on malbec and malbec driven blends. She sold Flying Trout in 2010, staying on as winemaker for another five years with a one-year hiatus to be with her two young children. In 2016 she launched Vital Wines and March Cellars (now known as Brook & Bull). Vital Winery, is non-profit, with proceeds supporting Walla Walla Valley vineyard and winery workers access to affordable health care.